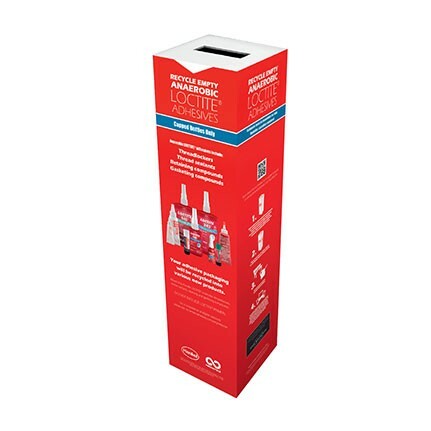 Henkel Loctite TerraCycle Anaerobic Adhesive Recycling Program Box is provided as a way to recycle empty Henkel Loctite anaerobic packaging materials through a partnership with TerraCycle®. Intended as a way for companies to meet or launch their own sustainability goals. Size large, 15" x 15" x 42", 890 bottle capacity. Used for recycling empty Henkel Loctite anaerobic packaging materials.